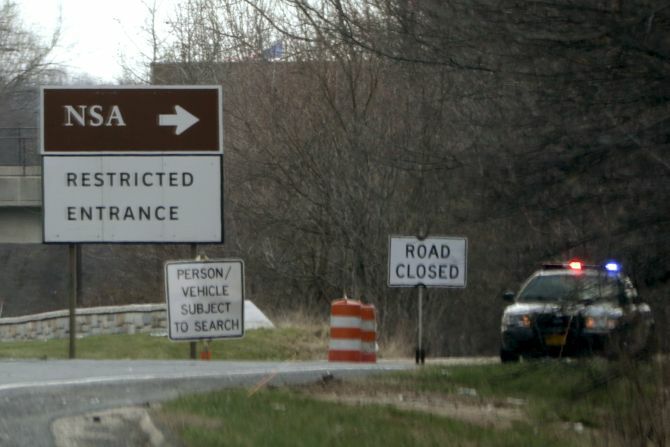 At least one person is reportedly in custody as authorities investigate the reports of a possible shooting incident near the National Security Agency's headquarters in Fort Meade, Maryland on Wednesday. NSA is United States' secretive spy agency responsible for global electronic eavesdropping. Footage from the incident on CNN showed, what appeared to be a black SUV being stopped at the security barrier. Several media reports have stated that at least three people were shot and wounded. The NSA said the situation was under control. The Federal Bureau of Investigation tweeted it 'is aware of the incident at Fort Meade' and is sending personnel to the scene. The White House said in a statement that President Donald Trump has been briefed on the shooting, according to the reports. 'Our thoughts and prayers are with everyone that has been affected,' the White House statement said.